Antique Jewelry Investor Appraisals in Less Than 48 Hours! The Antique Jewelry Value question is by far the most popular question we get asked on Antique Jewelry Investor. "How much is my jewelry worth?" is our No. 1 question. 1. We only appraise Jewelry. We are considered to be a leading world authority on jewelry and know the estate jewelry, cameo jewelry and pearl jewelry market perhaps better than anyone else. 2 Every online appraisal is carried out under supervision ensuring you get the best possible price for your item. Outside the scope of a jewelry appraisal? One-on-one Jewelry consultations with Yvonne now available Please Click Here for Details. Antique Jewelry Investor appraisals are suitable for the following Jewelry genres: Cameo Jewelry, Pearl Jewelry, Designer, Vintage, Costume Jewelry and Antique Jewelry. Our team of Jewelry Professionals, specialize in appraising: Costume Jewelry, Vintage & Estate Jewelry, Antique Jewelry and Pearl Jewelry and authorities in their own specific field of expertise. It is recommended that Jewelry set with precious gemstones, such as diamonds, emeralds, rubies & sapphires, be tested first. 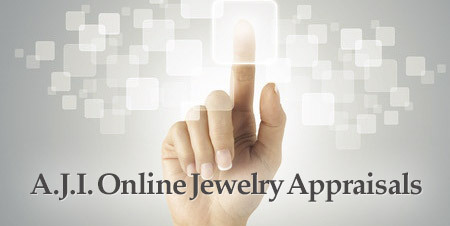 Many people can now test gemstones and metals at home thanks to advances in technology and the internet. Both signed and unsigned jewelry is suitable for appraisal purposes. The demand for Vintage Costume Jewelry is skyrocketing as Antique Jewelry and Natural Pearls are becoming much harder to find. Photos say a thousand words. Photos of the front and the back of the item and from different angles help to correctly identify. Fill out the form and upload photos on the form below. The price for an expert Jewelry valuation is $29.99 US. Your completed valuation certificate will be sent to your inbox within approximately 48 hours! Costume Jewelry if chosen with care is one of the best investments around. High-tech tools, scientific training and technical analysis won't tell you anything about how to date a piece of Jewelry or place it in history. Our Jewelry appraisers have been hand selected and many have years and years of experience, each in their own specific area. It takes less than 10 minutes to fill out the form. Ready to get started? One close-up image of any jewelry marks, (if there are marks). The second image of a larger area surrounding the mark. The third image of the entire piece.